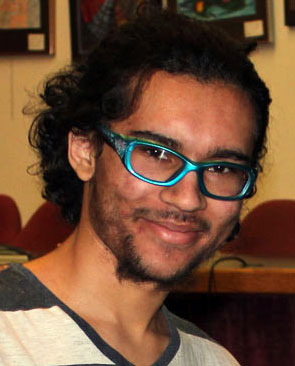 Bevan Breaux, a sophomore at La Crosse 7 Rivers Community High School, has won first-place in an essay contest designed to bring added meaning to studies of the Holocaust by connecting it with 21st century issues. 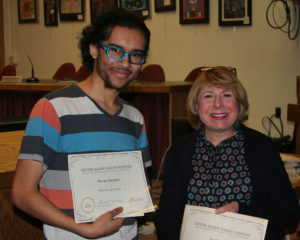 Logan High’s Josh Perry, 2nd place winner, with Maureen Freedland. 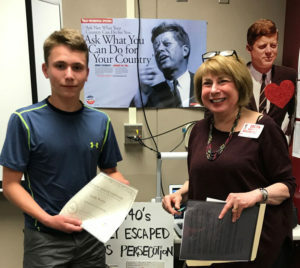 A Logan High School sophomore, Josh Perry, received second place and $100 in contest, sponsored by the Maureen and Robert Freedland Fund for Studies of the Shoah. Bevan Breaux, a sophomore at 7 Rivers Community High School, receives his first-place award, and check for $250, from Maureen Freedland. 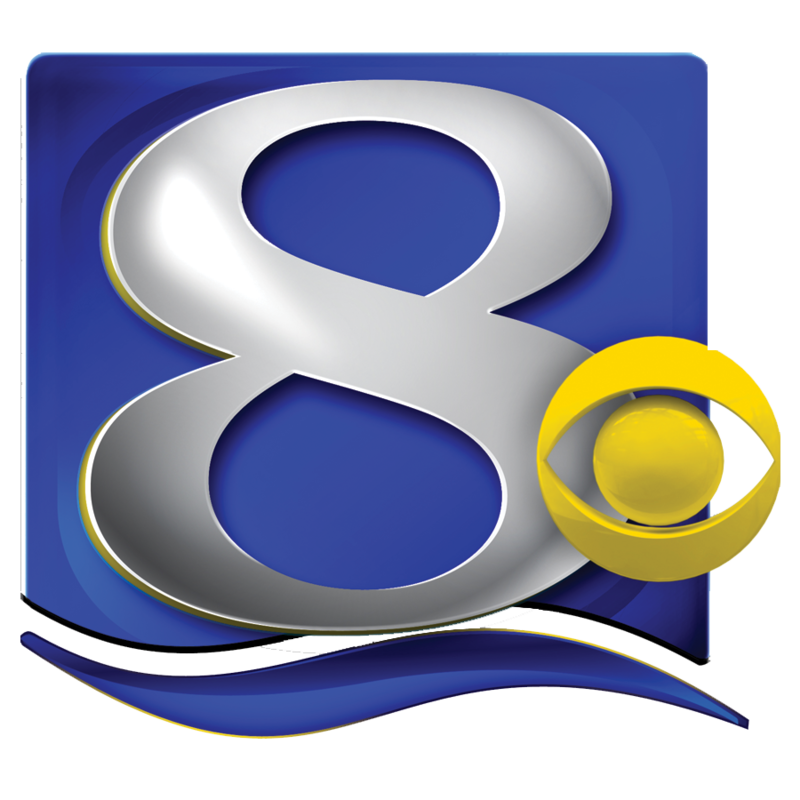 The Maureen and Robert Freedland Fund is an endowment established at the La Crosse Community Foundation in 2007. 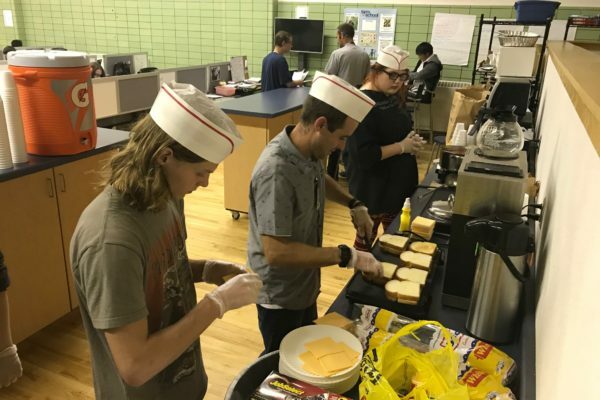 Annual proceeds support grants awarded by the La Crosse Public Education Foundation to help students to advance their understanding of the Shoah, the systematic genocide against the Jewish people and other “undesirable” groups targeted for destruction by the Nazis in World War II. In addition to exposing students to the history of the Shoah, teachers are encouraged to help students to recognize the events and beliefs that made the Shoah possible and relate them to events around the world affecting people of many nationalities and religious beliefs. Essay contest prizes were provided through a separate gift from Maureen and Robert Freedland. Click here or more information about the Shoah Studies grants, or here for details on the essay contest. Or contact the LPEF office at 787-0226. 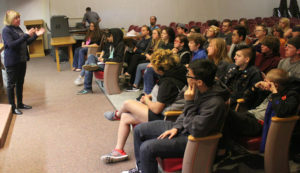 Maureen Freedland speaks to students at 7 Rivers Community High School prior to announcing winners of the 2017 essay contest. Maureen Freedland draws a parallel between Jewish refugees – including her father – fleeing Eastern Europe to escape the Nazis, with the current-day refugee crisis of Syrians fleeing their country in hopes of a better life in Europe or elsewhere. 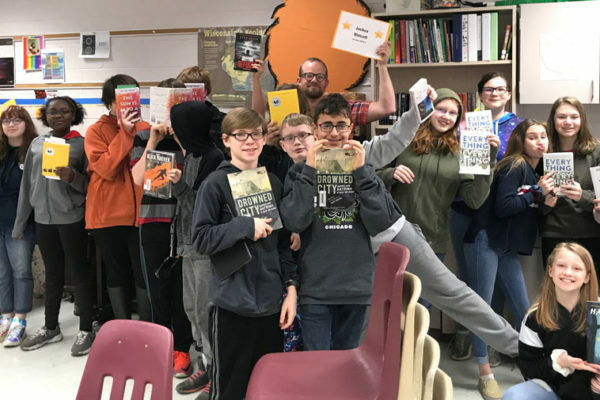 7 Rivers students who entered the essay contest received books from Maureen Freedland (at far right). From left are students: Dylan Arndt, Gillian Smith, Angeli Engel, Victoria Knutson and Devan Breaux.